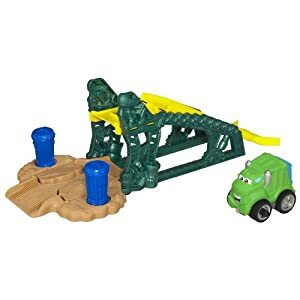 The Tonka Chuck's World Playset WAS $35, NOW it's just $11.99. That's 66% off! 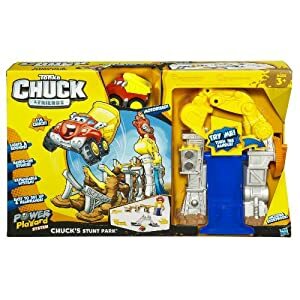 The Tonka Chuck's Stunt Park WAS $43, NOW it's just $14.99. That's 65% off the list price! 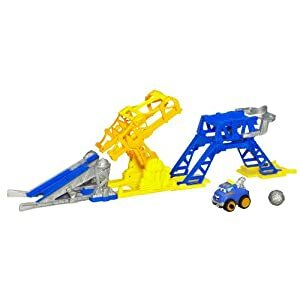 The Tonka Chuck & Friend's Rowdy's Trash Crash WAS $19.99, NOW it's just $9.99. That's 40% off the regular price! If you're using your free trial of Amazon Prime from Amazon Mom, 2-day shipping is free. Otherwise, shipping is free when you spend $25 or more.